I was in the Marines for 11 years and I developed PTSD after about the fifth year but at the time I didn’t know. I was arrested multiple times for D.U.I. because I was doing a lot of self-medicating. I’ve been receiving treatment for PTSD now for about 3 years and my probation period for D.U.I. is coming to an end. My question, I guess, is there any point where these convictions won’t be accessible through a background check anymore? This question came in a comment on a blog article I posted last year about age limits for criminal convictions included in background checks. This Marine’s story touched me. Can’t you feel his frustration? As I’ll discuss in this Wednesday’s webinar, state and local governments are passing laws intended to help men and women like this Marine – often without understanding the complexities they are creating for employers. This can put an employer trying to do the right thing to protect the public, their employees, and their assets at odds with government officials looking for ways to help former offenders find meaningful work. I’ll discuss all of that in Wednesday’s webinar. First, thank you for your service and it saddens me that your service to our country caused such emotional injury. I am glad that you are finally receiving the assistance you are due. If your DUIs ended with convictions, then they may be considered by employers under federal law and most states’ laws forever. Some states like Massachusetts, Washington, and Hawaii limit the age of convictions that can be considered by employers. Some cities (San Francisco, for example) have similar limitations. This does not mean that most employers will automatically exclude you from consideration for any job based on criminal convictions. Most employers look at the age and nature of the offense and how it relates to the job. However, many may include your multiple recent DUI convictions in their evaluations of your overall fitness for a position (judgment, reliability, safety orientation, etc. ), even if you aren’t applying for positions that require you to drive or operate dangerous equipment. My recommendation would be to include an explanation of your circumstances in your response to any criminal history inquiry made by an employer. In fact, if your healthcare professional will provide an opinion that your past conduct was symptomatic of a service-related injury and attest to your improvement, I would have that readily available, as well. HR would never ask for that information because of the Americans with Disabilities Act and some HR professionals would be nervous about receiving it for fear that a decision not to hire you could be construed as discrimination under the ADA. However, if you are concerned that the DUIs will significantly affect your ability to get the job, you certainly have little to lose and this additional information may help put your past conduct in context. It is really important to also include information about any successes you’ve had since these DUIs occurred. Education you’ve completed. Jobs you’ve held successfully. Volunteer activities in which you’ve engaged. Anything you have that will help them understand that the past conduct is not reflective of who you are today. 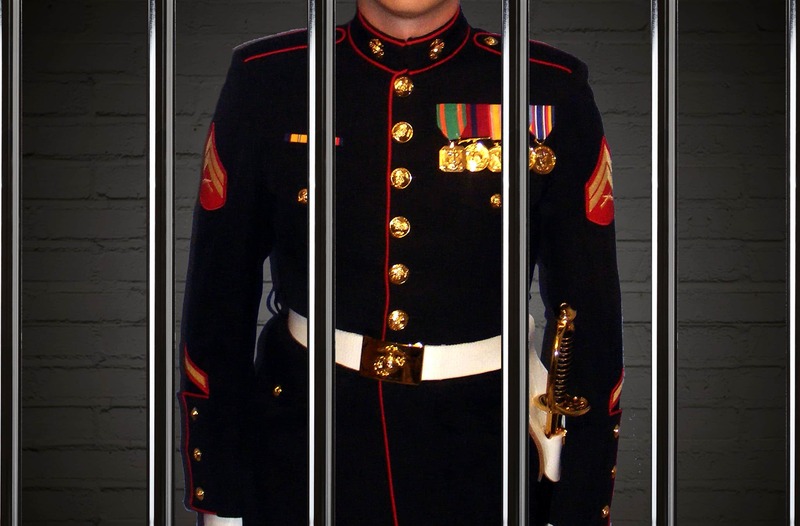 How would you have advised this Marine? What do you think of my advice? Does the ADA issue make you nervous? I agree with your comments to this Marine. I might also suggest that he make this “situation” Known to the HR dept when they call him to offer him a position (assuming the background check will Not take place Before that point). At this point he has impressed them enough to receive an offer, and the ball is in his court to let them know what they will find Before they start looking. I think you’re advice regarding a physician statement about Successful Treatment, and Successes Post-treatment in the job or volunteer world will also go a long way to helping identify the “current reality” vs “the past”. With today’s generally favorable view of military service, I think he has a good chance of landing a good position! Mike, without being prejudiced, you’re simply the best at what you do! contacted you and hope he/she takes your advice and follows through with a plan as you suggested. Good job! Carolyn C.
Mike – thank you for giving us the opportunity to consider what we would do in this situation. Very thought provoking. Your advice seems fair and balanced. Here’s hoping it helped the Marine and the new employer. Very thoughtful and thorough response. I appreciate the information you share. I think this is the best answer and would go along this road myself. I agree with Paul about being up front concerning the situation. Very sensitive letter.